Boiler systems are known for their reliability and durability, however, they can still encounter issues that require boiler repairs. Similar to the other systems in your home (plumbing, air conditioning, etc) your boiler system needs regular maintenance and, from time to time, require repairs. If you find yourself needing boiler repair services in and around the Denver Metro Area, don't hesitate to give SWAN Plumbing, Heating & Air a call. Our boiler repair technicians can be at your home within hours, diagnose the problem, and provide reliable boiler repairs that are done right the first time! Or, click here to schedule your residential boiler repair service online. Do you need boiler repair service in the Denver Metro Area from a company you can trust? We pride ourselves with providing professional quality, reliable boiler repairs with affordable pricing, and even offer financing options, here at SWAN Plumbing, Heating & Air of Denver. 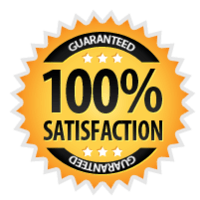 Our boiler repair technicians have over 40 years of combined experience and all boiler repairs completed by them are backed by our 100% Satisfaction Guarantee!